Photinia x fraseri Red Robin is an upright, evergreen shrub with bronze to red leaves when young and dark green leaves when mature. 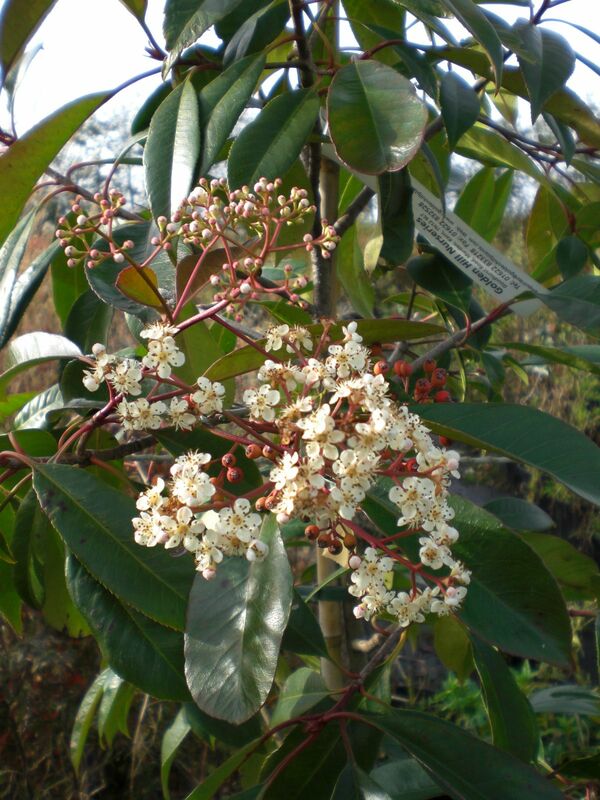 Produces white flowers in mid spring. Hardy. 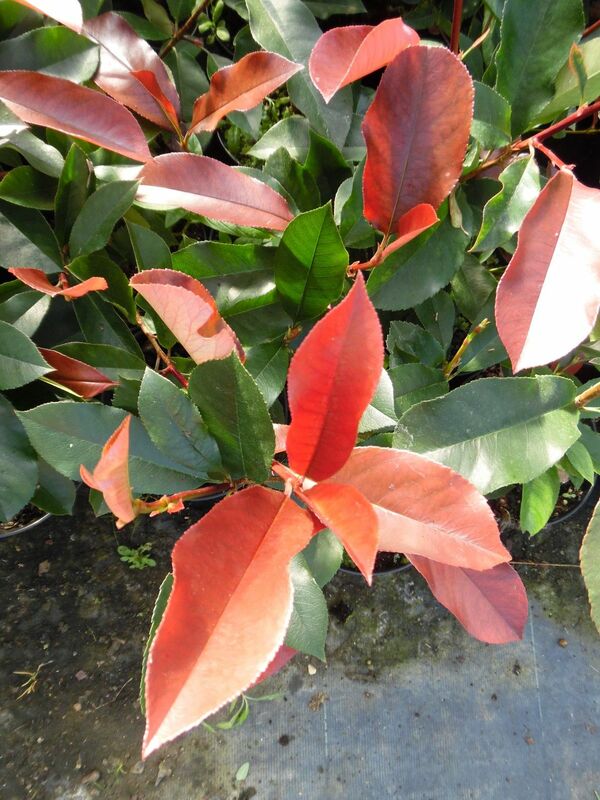 Grows in most soil types in sun or part shade conditions. 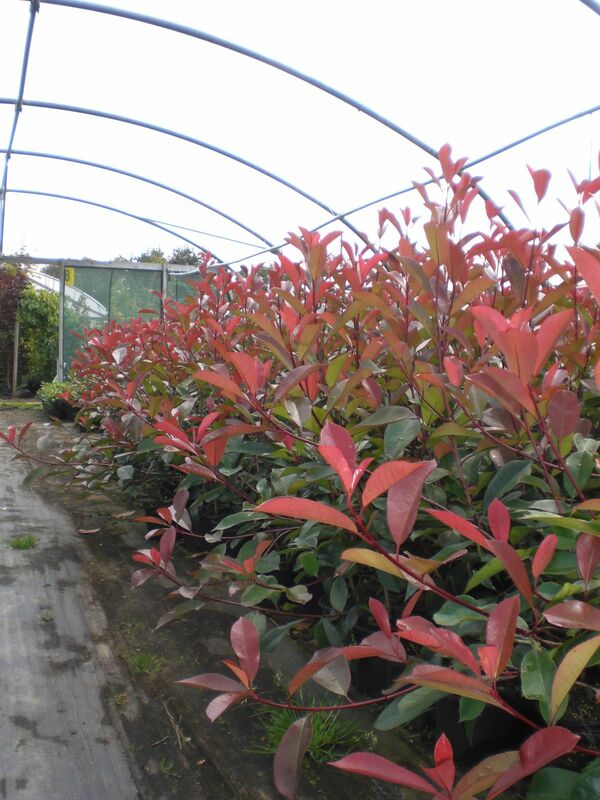 Excellent as a hedging or specimen plant. 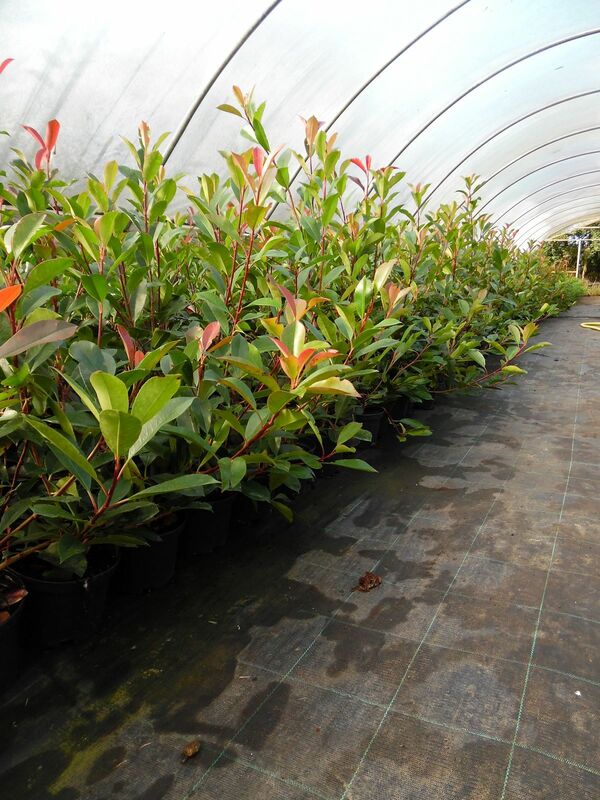 All plants supplied are strong, well established and ready for immediate out door planting.